One of the reasons we appreciate Nuvyyo's Tablo DVRs (including the new Dual Lite model) is that they're easy to set up and use. 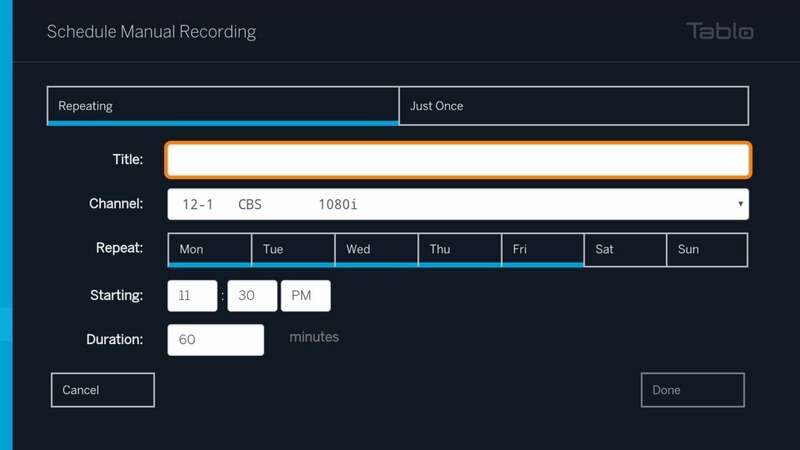 Tablo isn't the most powerful over-the-air DVR for cord-cutters, but it is the most hassle-free. Although you can schedule recordings from most of Tablo’s apps, using a web browser is easier. You can see more information at once compared to Tablo’s mobile apps, and pointing and clicking with a trackpad or mouse is faster than mashing remote buttons in Tablo’s TV apps. 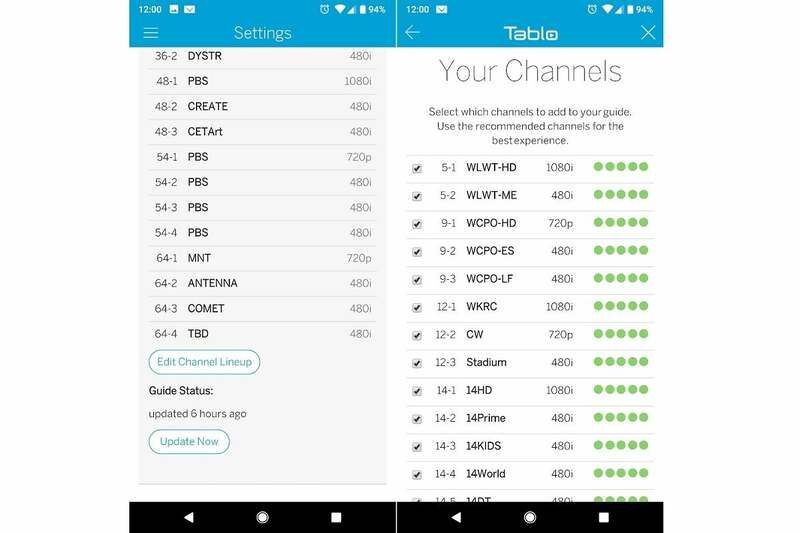 You can also open Tablo’s web app in multiple windows to watch TV and browse the channel guide at the same time—a capability that’s sorely missing from the native Tablo apps. Head to my.tablotv.com to get started. By default, Tablo streams and records TV at 5Mbps. This limits video resolution to 720p and framerate to 30 frames per second. If you have a strong Wi-Fi connection, consider cranking up the video quality in Tablo’s settings menu. 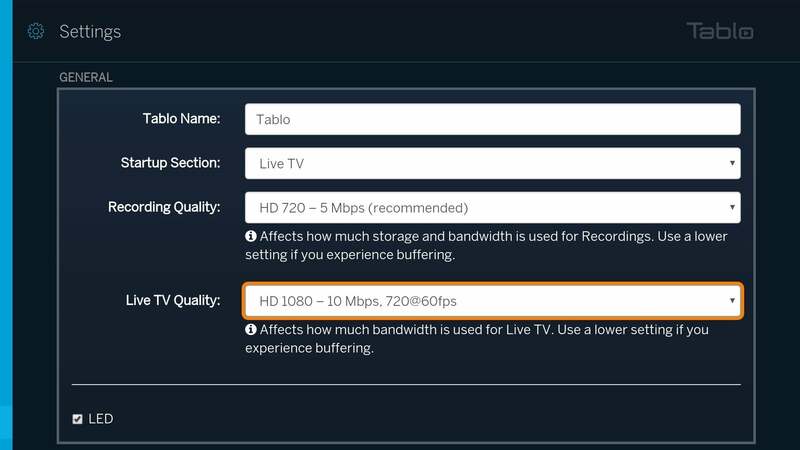 Choosing the 10Mbps option will give you 1080p at 30 frames per second on some channels, and 720p at up to 60 frames per second on other channels. Just keep in mind that cranking up Tablo’s recording quality will also consume more storage space. 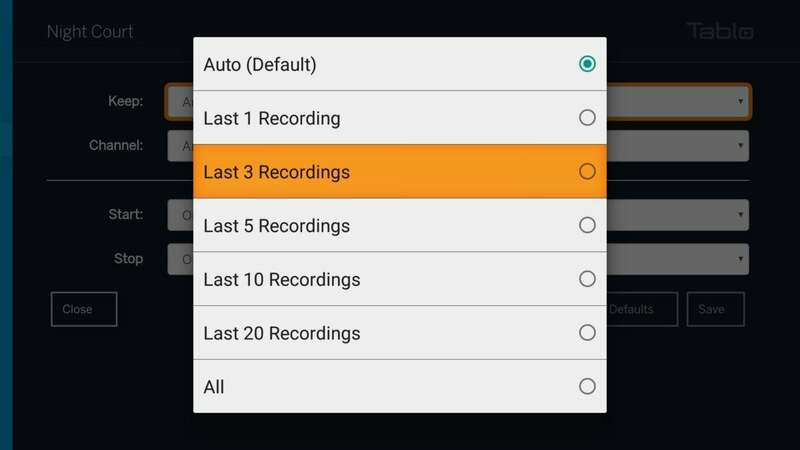 You can also proactively cut down on storage use with Tablo’s advanced recording options. When viewing a program, select “Options,” then select “Keep.” From here, you can choose to keep only a certain number of recent episodes. 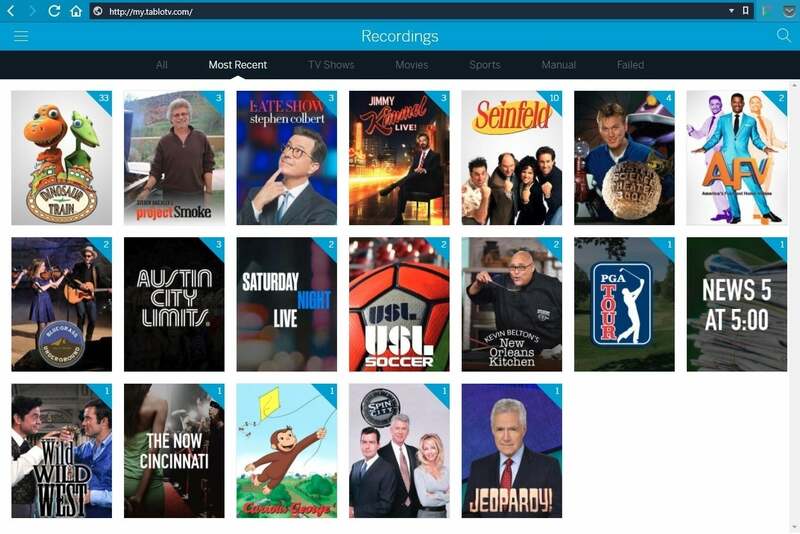 This is helpful for limiting your recordings of news, sports, and talk shows that you’re unlikely to binge watch in the future. Tablo offers a couple of simple ways to avoid having your favorite programs or live events cut short. Selecting “Extend Live Recordings” from the Settings menu will automatically add 50 percent extra recording time to sports and live events. You can also visit the advanced recordings menu and select “Adjust Start/Stop Time” to add up to three hours of buffer time to an event. 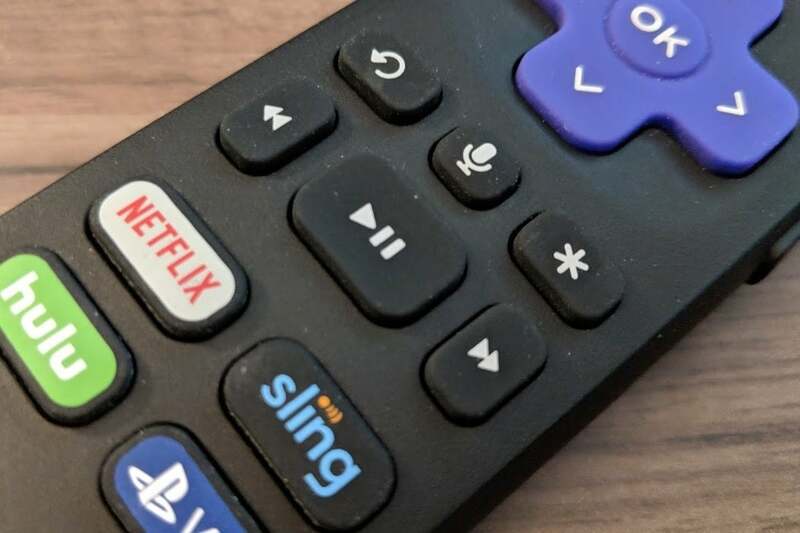 With streaming devices like Roku and Apple TV, using your remote’s select button to choose a program will first bring up a menu of recording options. Save yourself a little time by pressing the play button instead. This will jump straight to the live video from the viewing guide, or to your latest unwatched episode from the recording list. To get started, download and install the latest version of Tablo Ripper. 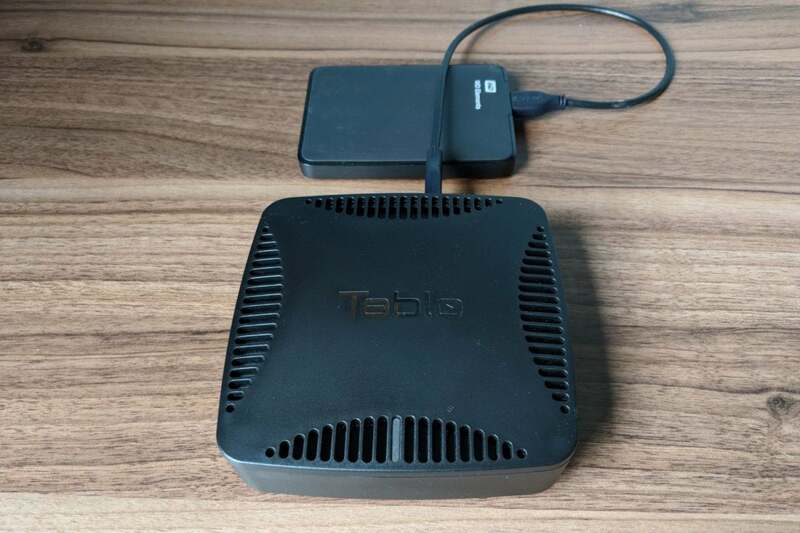 When you run the software, it should automatically detect the Tablo on your Wi-Fi network and present a list of recordings. Use the ">" key to select which recordings to grab, or hit ">>" to grab them all, then hit "Start." 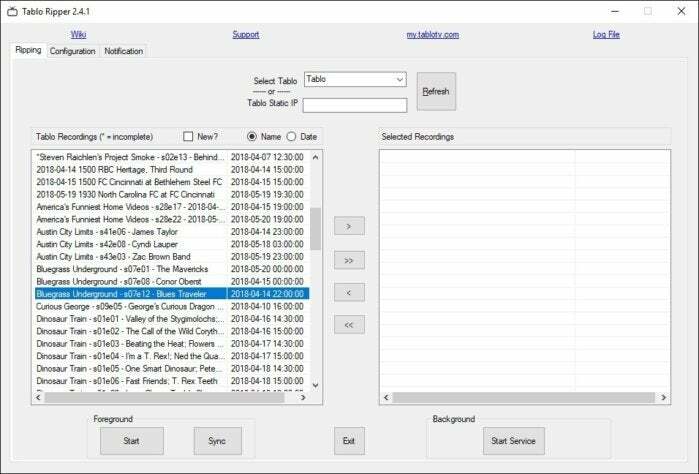 (You may want to visit the configuration tab first to specify a recording location outside of Tablo Ripper's default folder.) Let Tablo Ripper work its magic, and you'll have a set of MP4 files that you can take anywhere. For more information on how to tweak the software, check out Tablo Ripper's configuration guide.